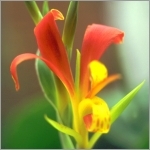 Canna indica (also known as saka siri, Indian shot, canna, bandera, chancle, coyol, or platanillo) is a species of the Canna genus, belonging to the family Cannaceae, a native of the Caribbean and tropical Americas that is also widely cultivated as a garden plant. 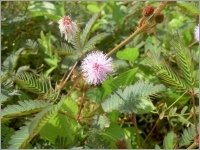 It is a perennial growing from 0.5m to 2.5m, depending on the variety. It is hardy to zone 10 and is frost tender. 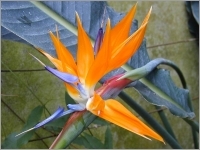 In the north latitudes it is in flower from August to October, and the seeds ripen in October. The flowers are hermaphrodite (have both male and female organs).